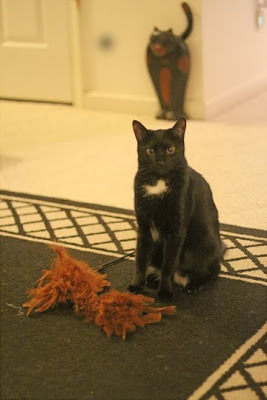 This was the feather toy from Grandma last Monday. 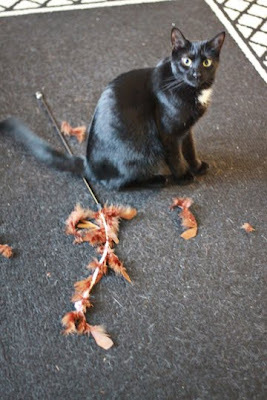 This was the feather toy as of Saturday. It's in even worse shape now. But Lucy LOVES that toy and she has loved every second of ripping it apart and shredding it. She sits next to it waiting for one of us to come along, pick it up and play with her. Poor Mousey, her former favorite toy, has been forsaken.